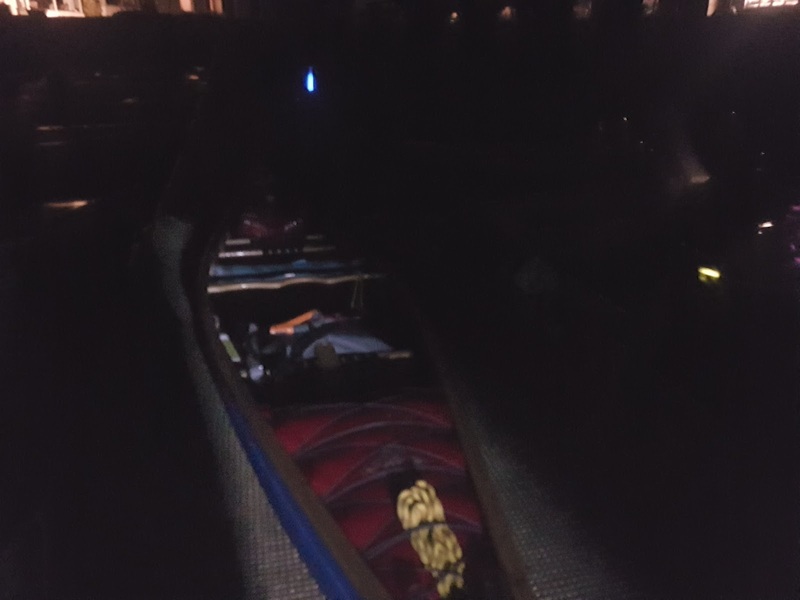 At early o'clock I walked out to have a look to see if Torpantau was frozen with my cousin Will. 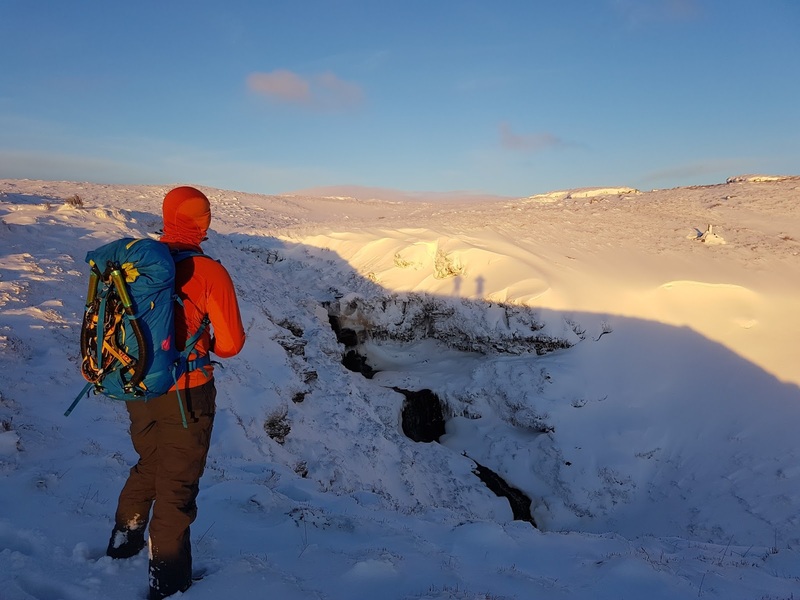 Sadly it wasn't but we still had a nice little walk through some deep snow drifts on the way out and back. 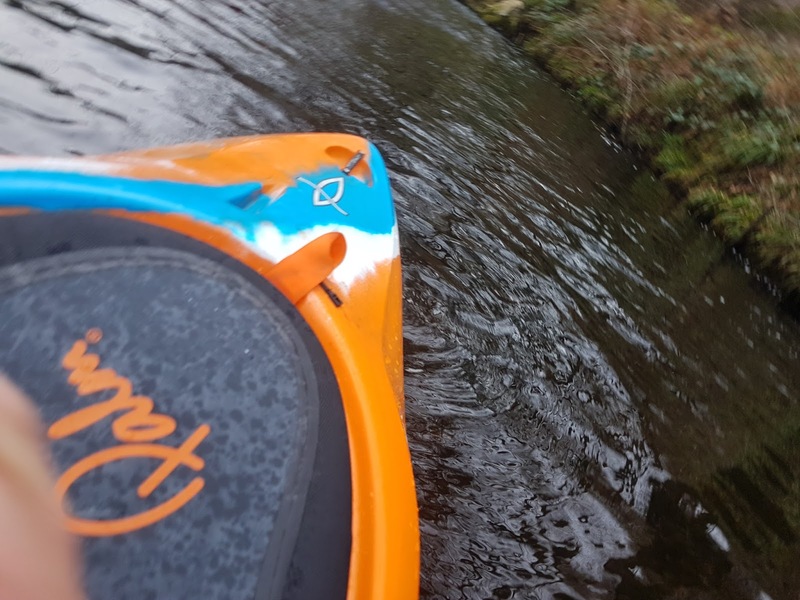 There was ice on the edges but the main pitch was still flowing. I reckon it needs at least another day of sub zero to form but the sun was hitting it full on as we left so to much damage may get done today. 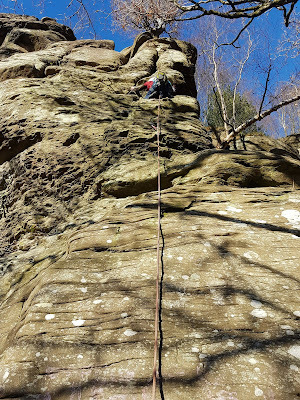 Anyway, we then headed to a much warmer Penalta for a couple of lovely rock routes. 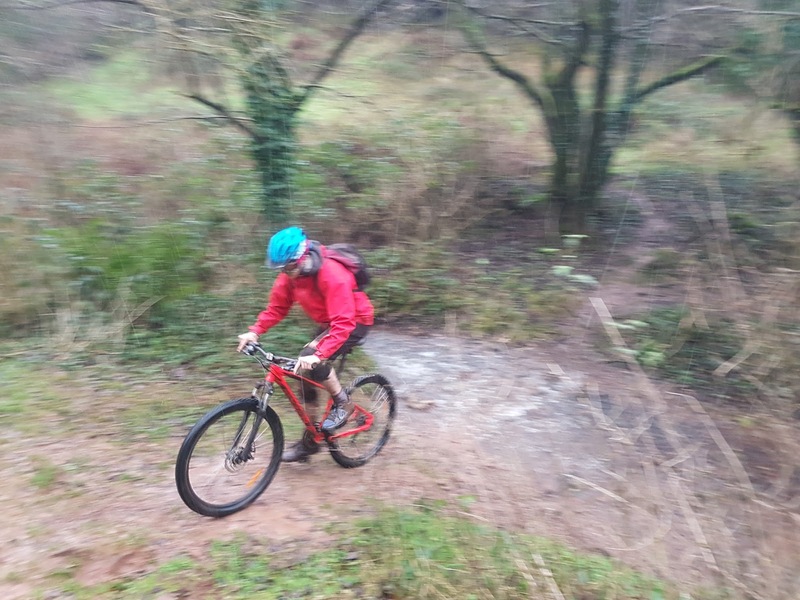 Out with Olly today for a quick blast down The Loop (which had much better water levels than last time. 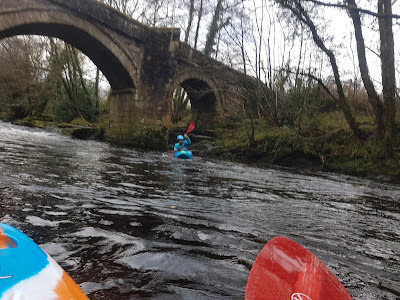 I found it cold today but even so, there was a lady swimming by Spitchwick in just a swimming costume. 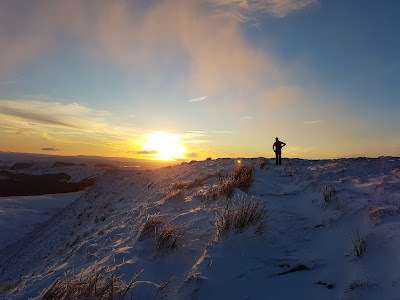 I was impressed but she did admit it was cold. 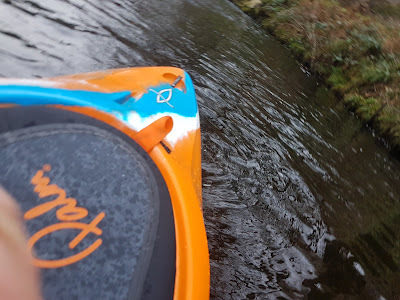 Very poor pics today due to my cold hands. A lazy lap of a low "loop" on the River Dart today with Hannah and Will. 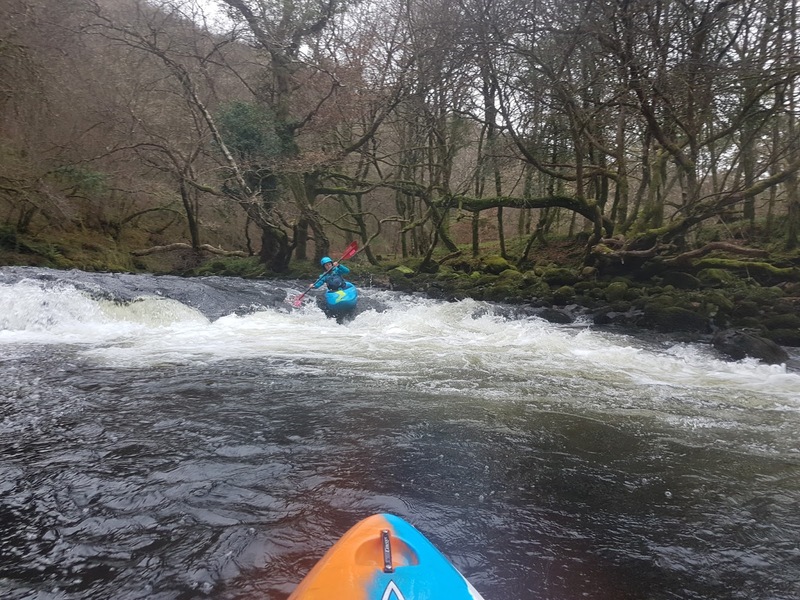 It was like a slalom trying to avoid the rocks but a super chilled out easy paddle followed by lunch. 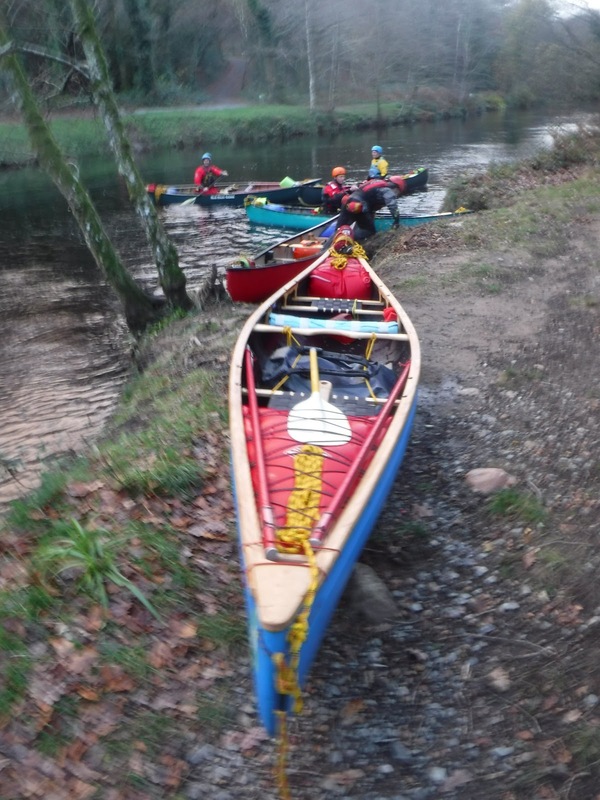 A few other groups seen on the river but not as busy as I expected. 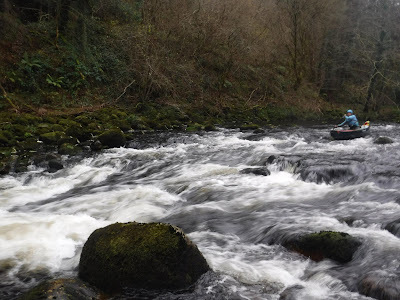 Please rain soon and give us some water back in our rivers. 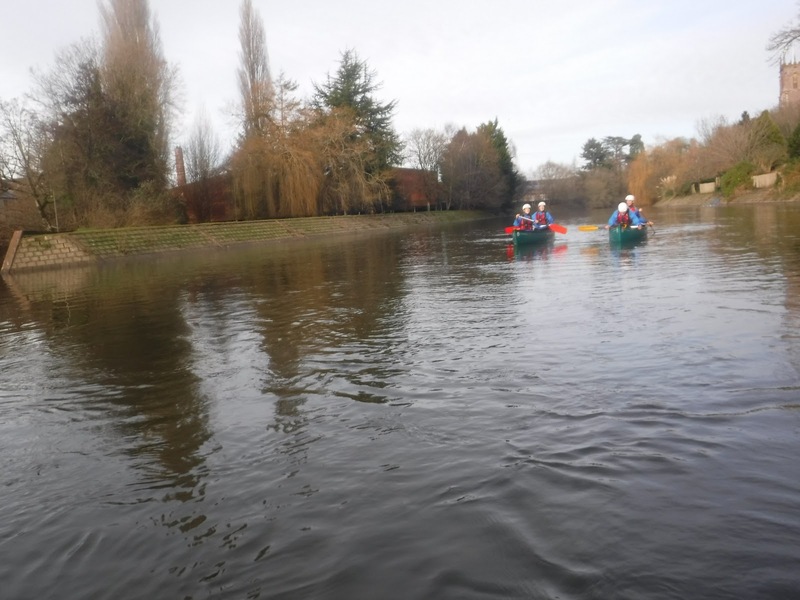 L3 Outdoor Education students from Bridgwater and Taunton College afloat on the Exe today from Bolham down to Tiverton. 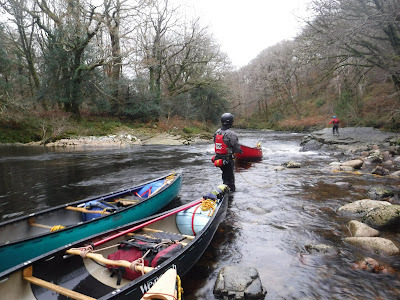 Nice levels and other that a portage round the Salmon steps a great little jaunt with only one swim per tandem boat. 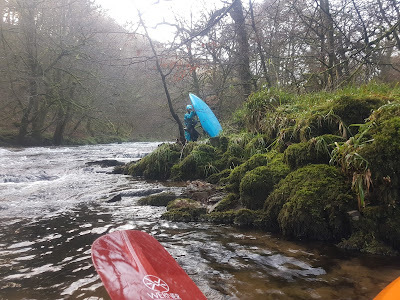 Both swims in awkward places min you so had to work a little harder than yesterdays "Bimble on the Barle"
A nice bimble down The Barle today from Tarr Steps with Hannah before lunch in Dulverton. 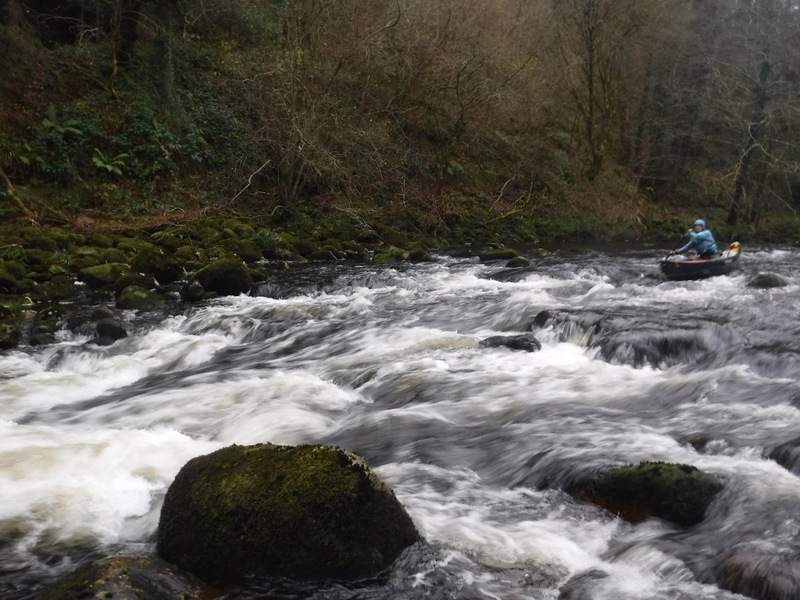 Lowish water but still above the required level for environmental protection. 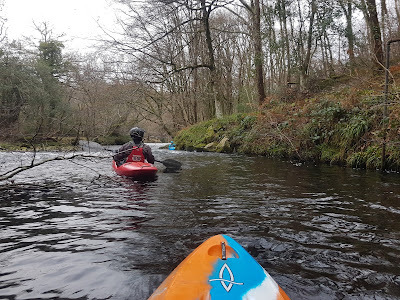 My paddling trips are becoming more about the availability of nice coffee and food afterwards these days rather than finding challenging rivers to paddle. I should probably up my game soon and get back on the harder stuff. 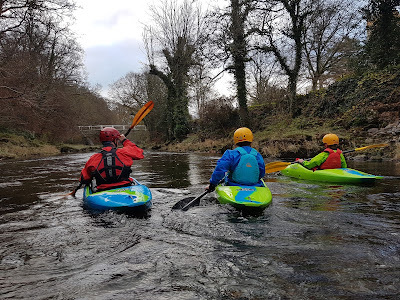 Out for a pootle down the Lower Dart today with Will, Hannah, Paul and Ben. A single blade day with both Open Canoes and OC1's for a lowish paddle down to the cafe for lunch. 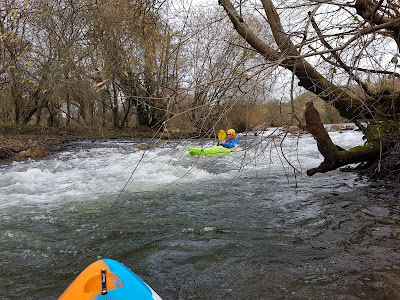 I had full intentions to practice some upstream work but the draw of coffee and food was too strong so that will be saved for another day. 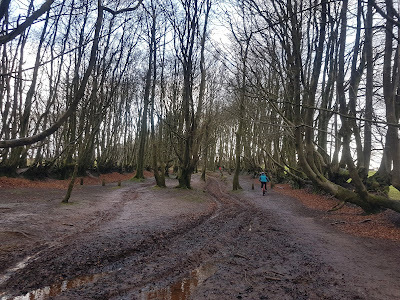 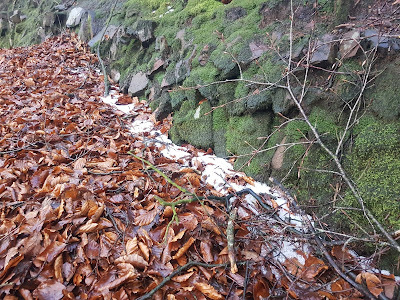 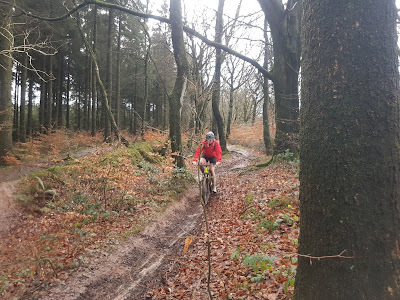 On The Quantock Hills today with my Bridgwater and Taunton College L3 Outdoor Education students dodging the hail showers whilst riding around in pretty chilly temperatures. 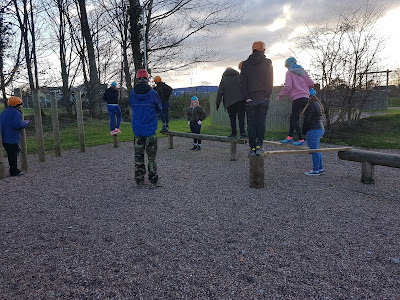 All of us were pretty wet, muddy and cold on arrival back at the Activity Centre and after washing the bikes down it was off to find somewhere with the heating on. 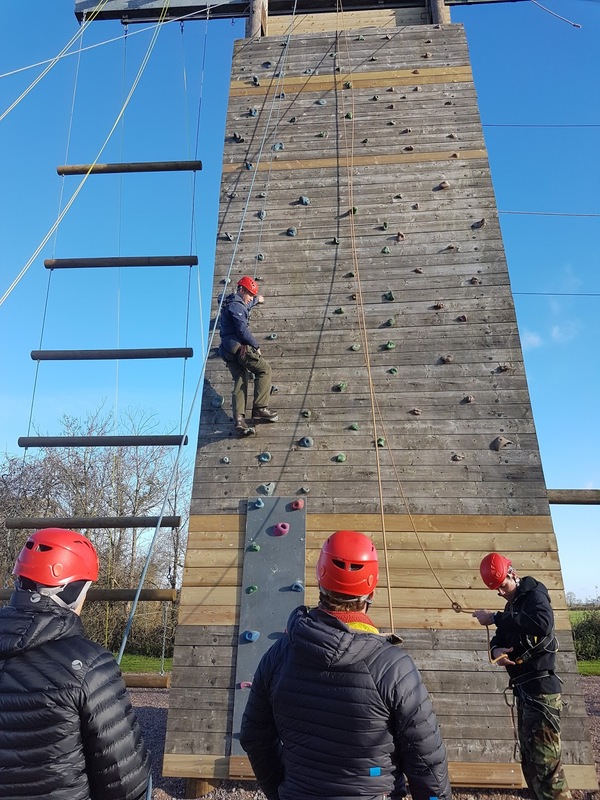 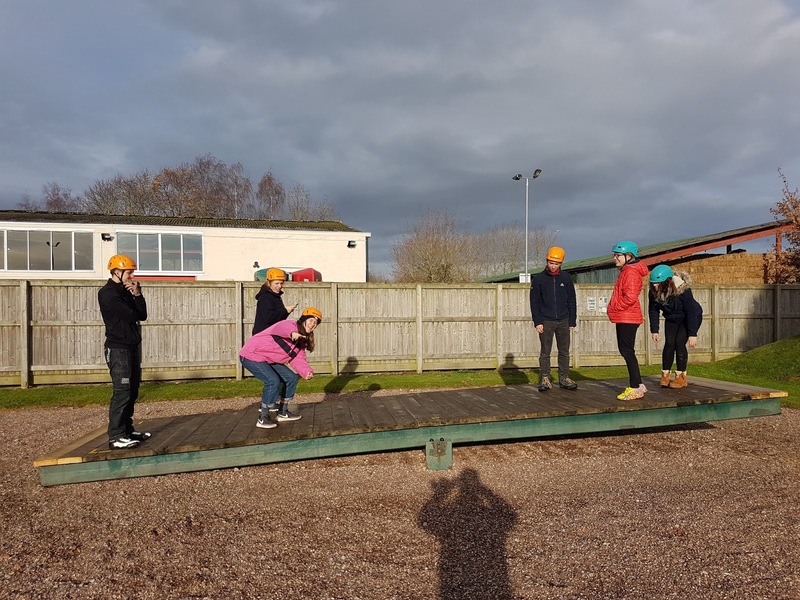 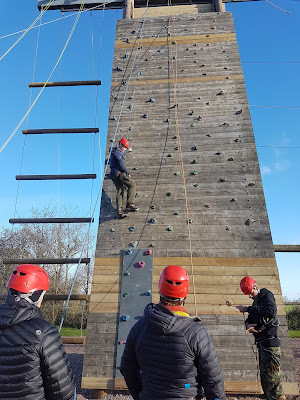 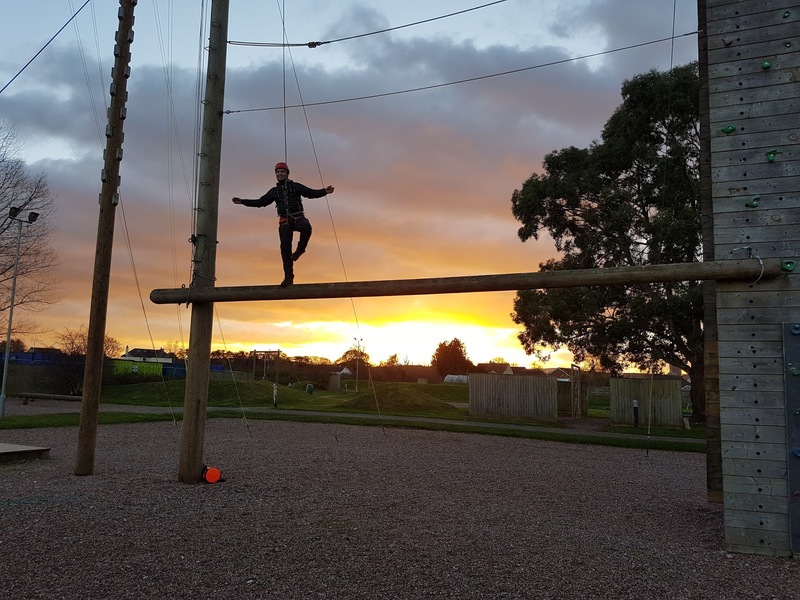 It was a little too cold to go boating today, -3 at 9am so I took my L3 Outdoor Education students to Cannington Activity Centre for a play on the Low Ropes course instead. 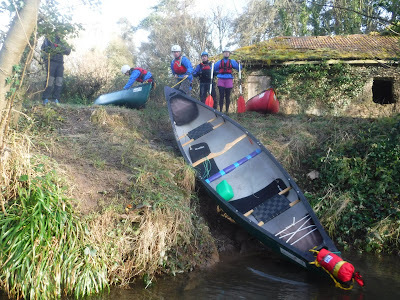 Out and afloat in Brixham today for the 3rd and final day of the Advanced Canoe Leader Training course. Pretty blowy at the start of the day which made progress into wind a little difficult. 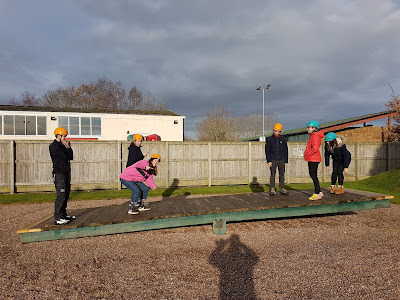 We had some excitement with the solo sailing but typically (as always happens to me) at the end of the day, after we had rigged the full sail to get back, the wind dropped and it was a bit of a let down. 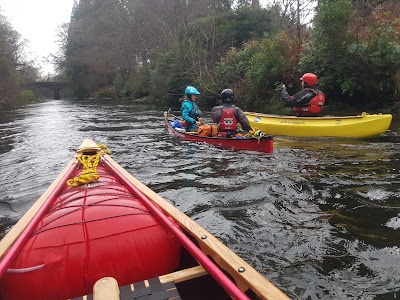 We were followed by a couple of seals for most of the day and they were very interested in what we were up to. More likely thinking we were mad. 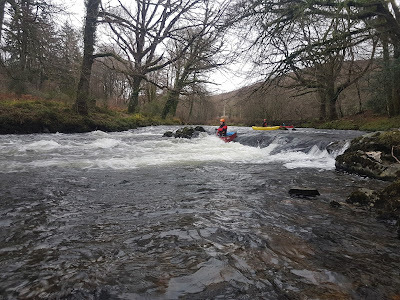 On the lower part of the Upper Dart today looking at portages, tracking, lining, rescues, poling and of course paddling and leading each other on the rapids in between. Then it was a quick break, and a drive round to Stoke Gabriel to complete a 3 hour night paddle up the tidal section of The Dart to Totnes. 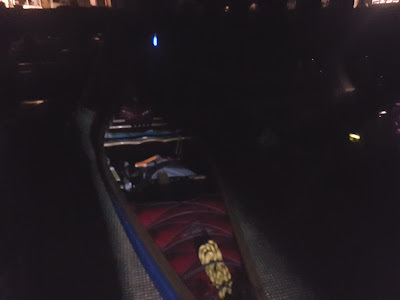 A long day but lots covered and a very pleasant evening for the night navigation exercise. 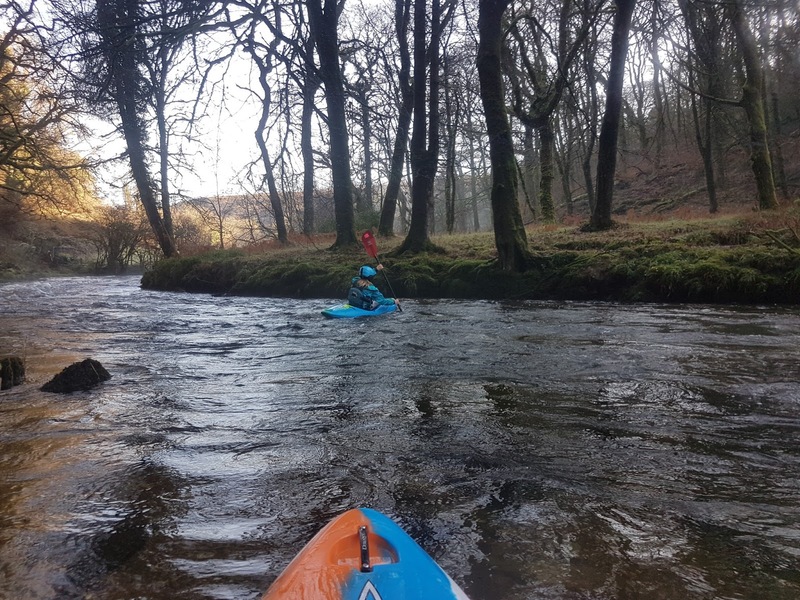 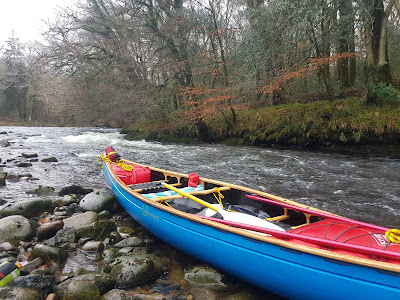 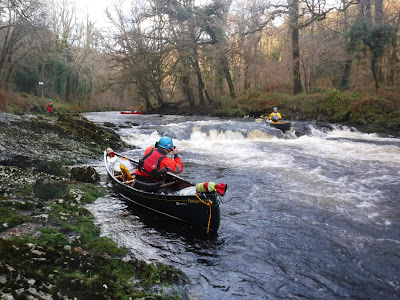 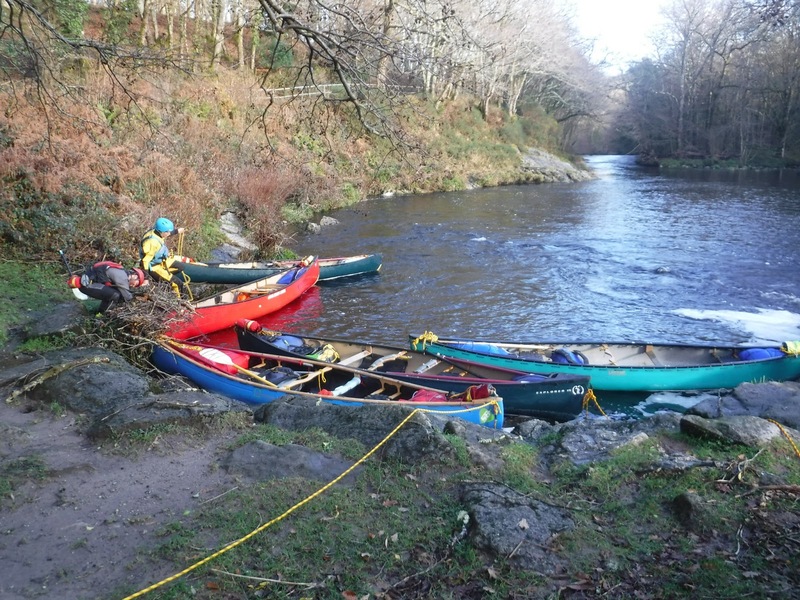 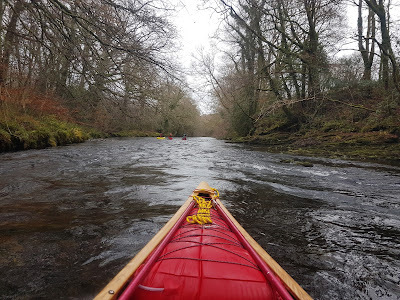 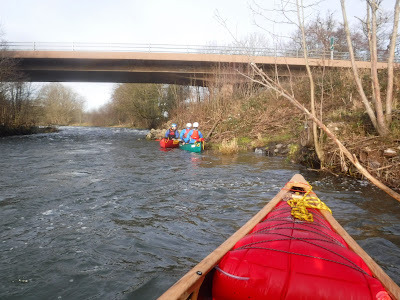 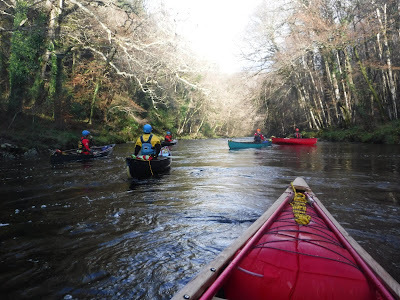 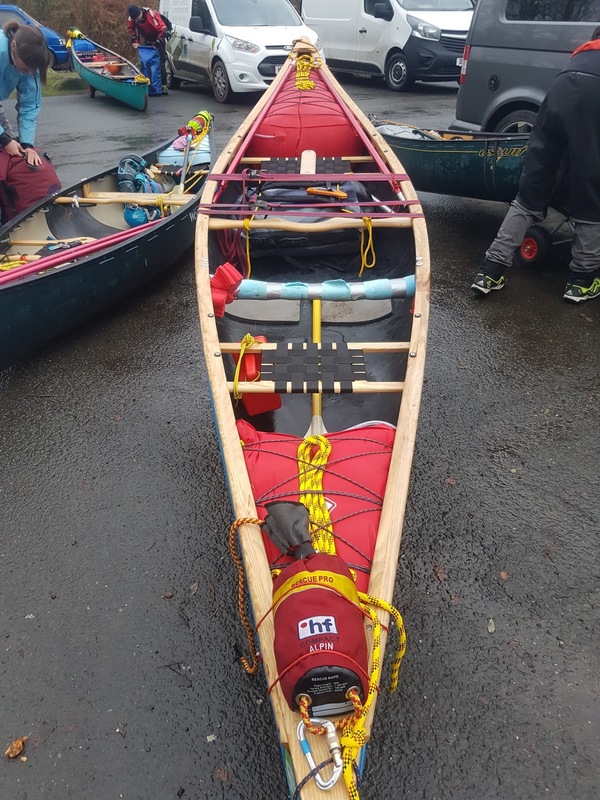 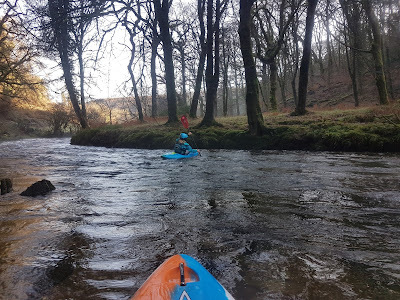 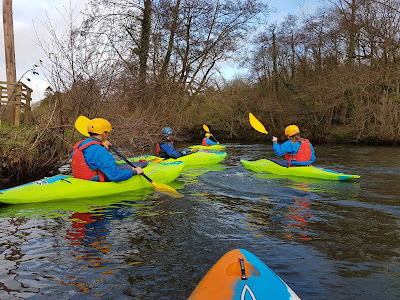 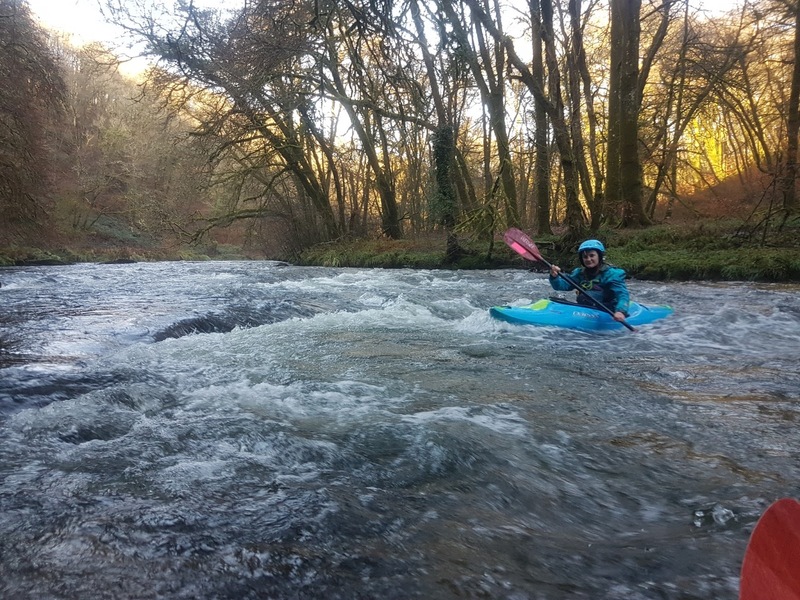 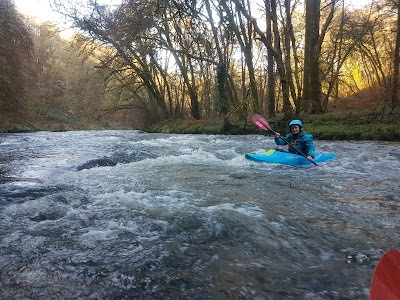 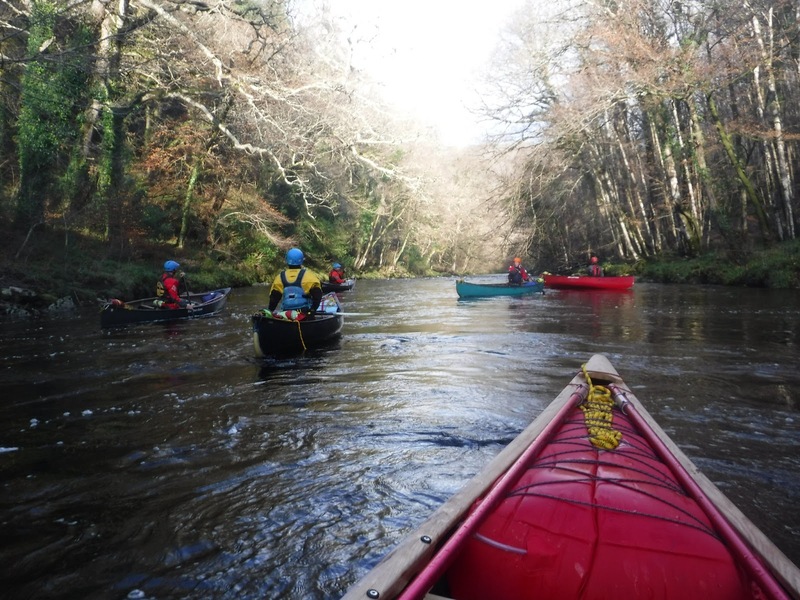 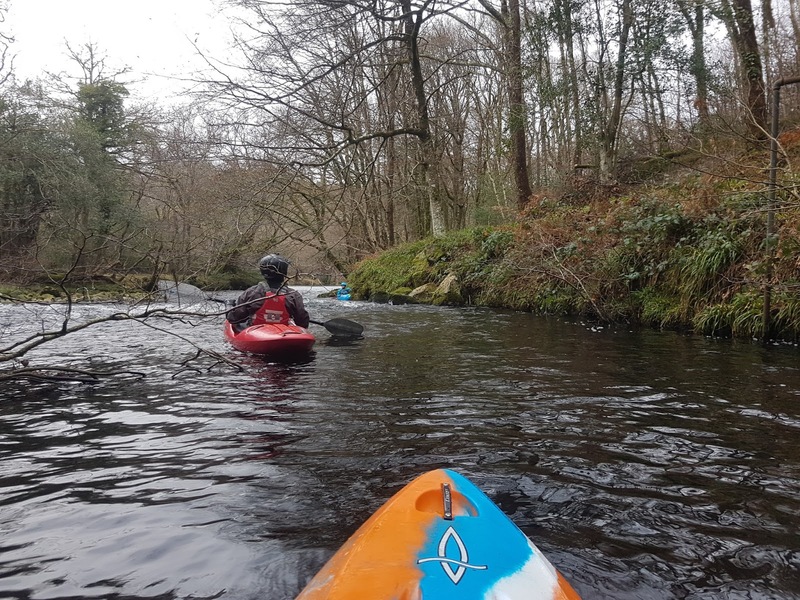 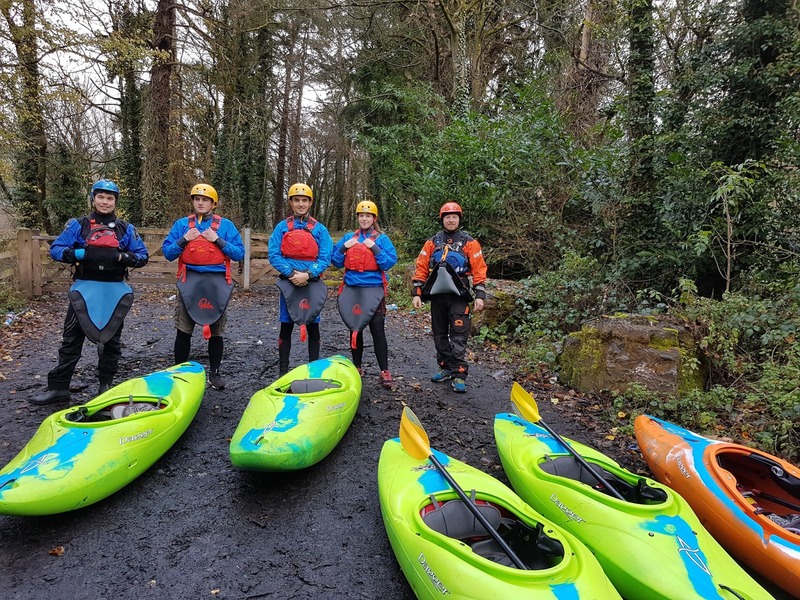 Today I was on the River Dart (The Loop section) on the first day of an Advanced Canoe Leader training (previously 5 Star) course being run by Gary Peverill of Inspiring Adventure. 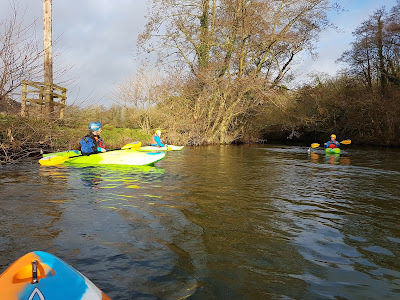 Lots of skills and leadership styles looked at today as well as refining our existing paddling techniques. Out on The Exe with my L3 Outdoor Education students from Bridgwater and Taunton College today. 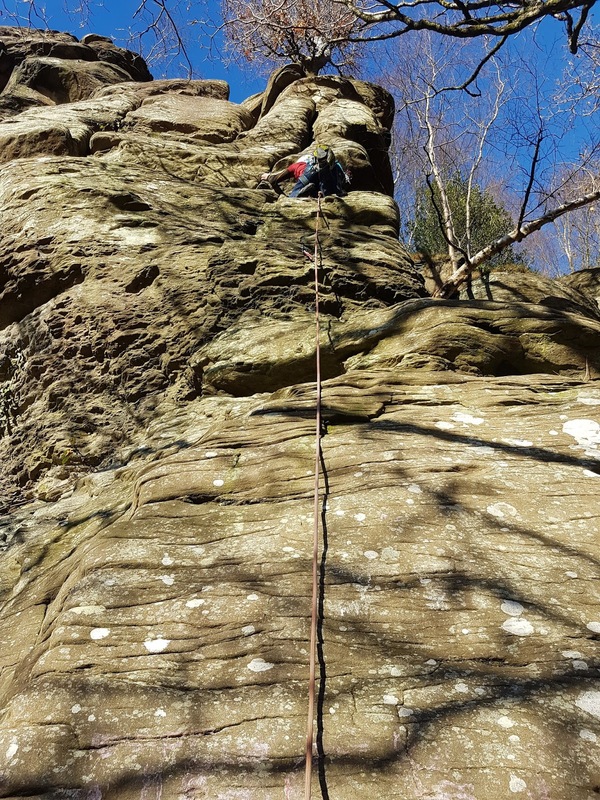 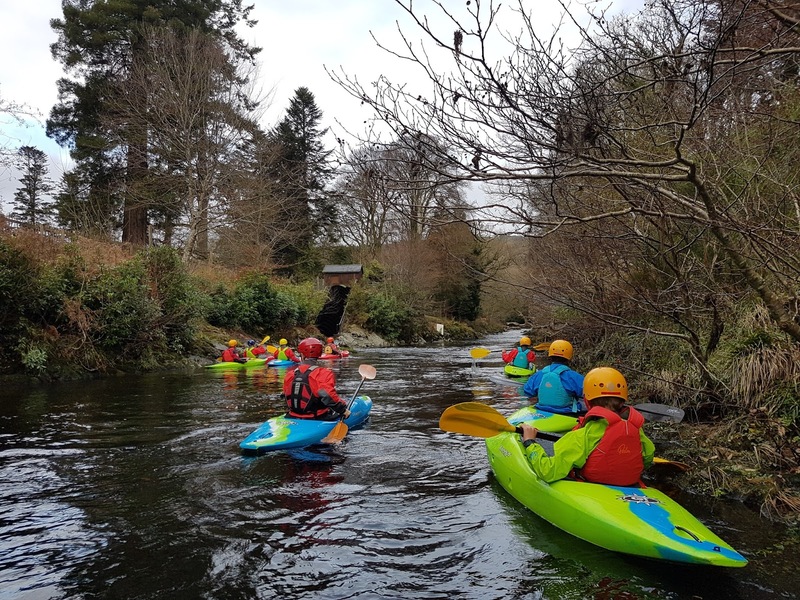 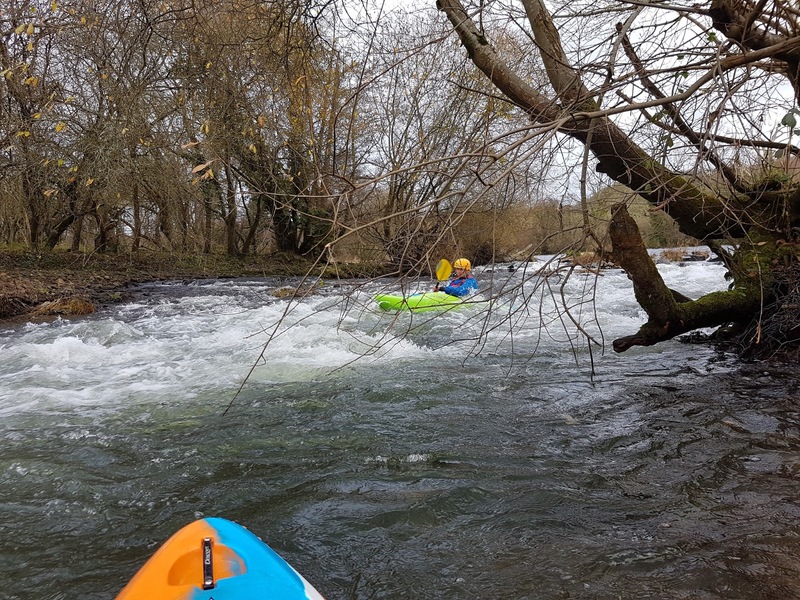 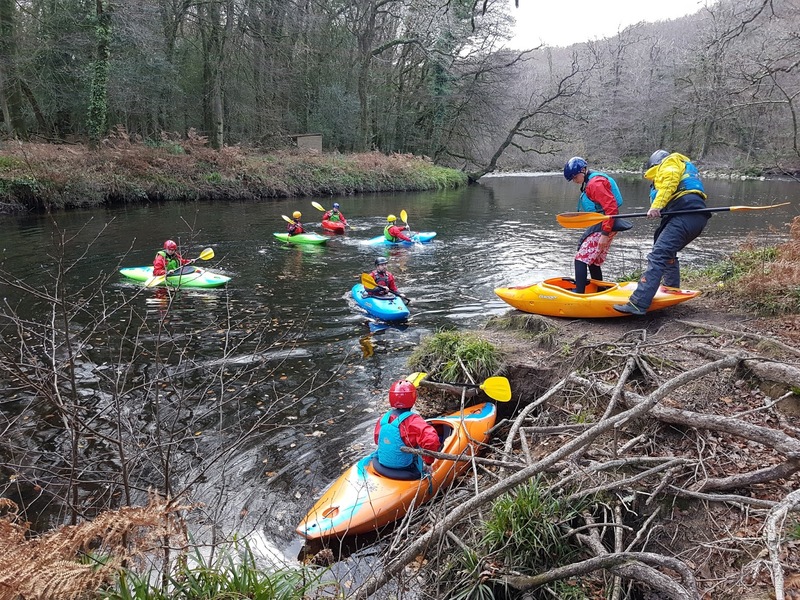 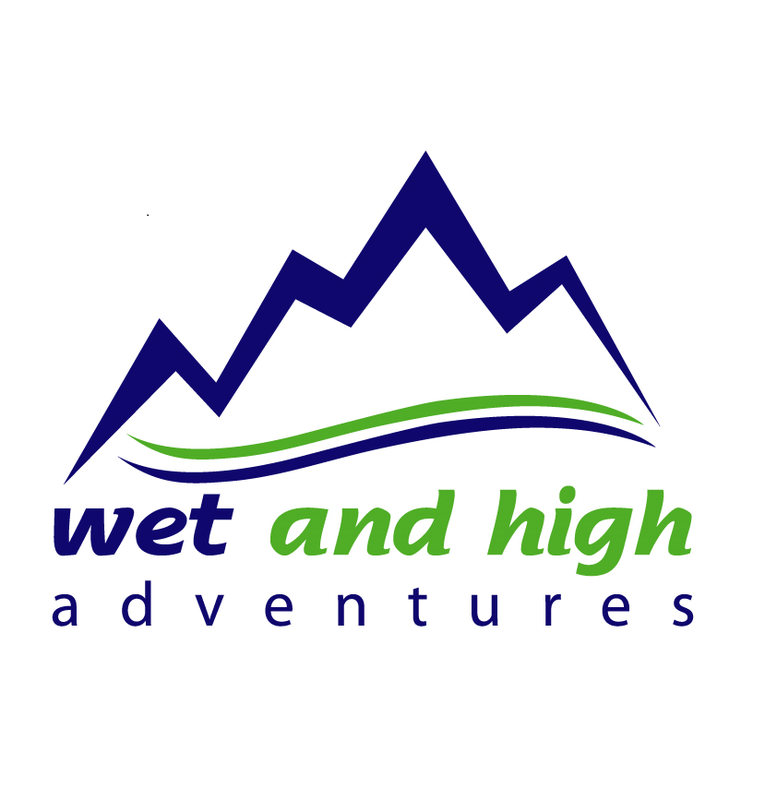 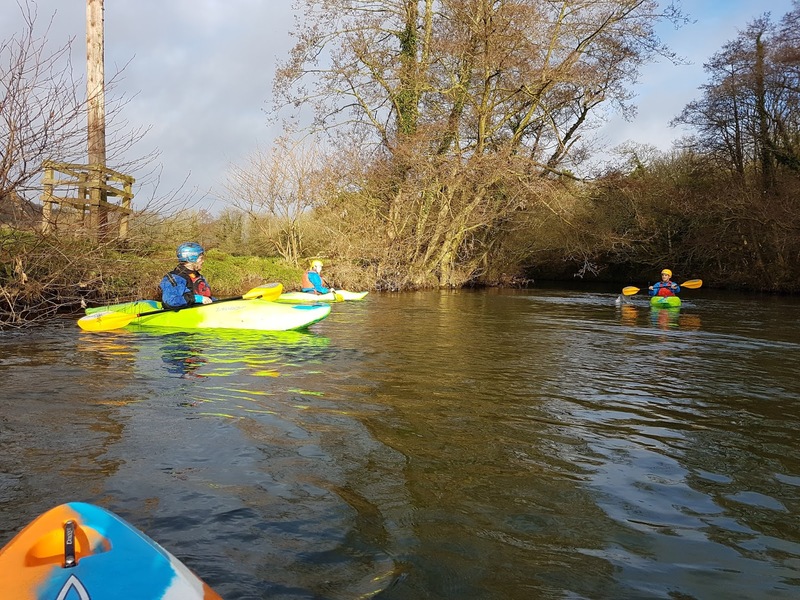 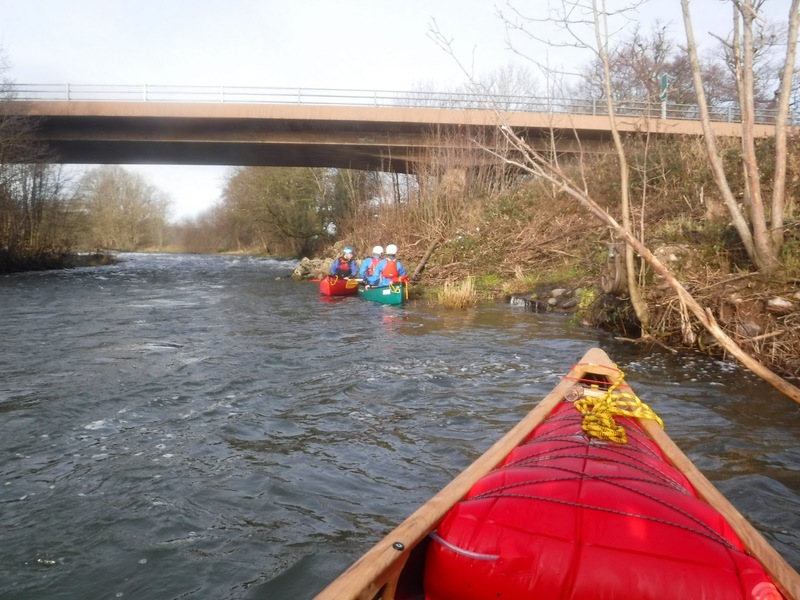 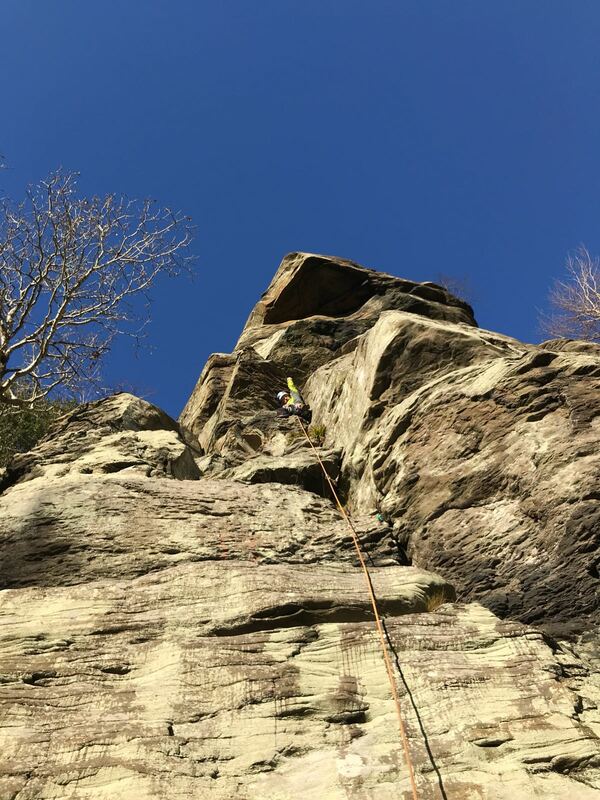 A blast from Bolham down to Tiverton and a first experience on white water for the students. 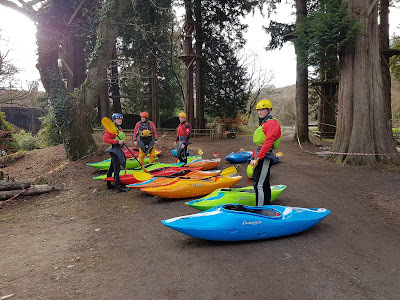 Thanks to Ollie for his help. 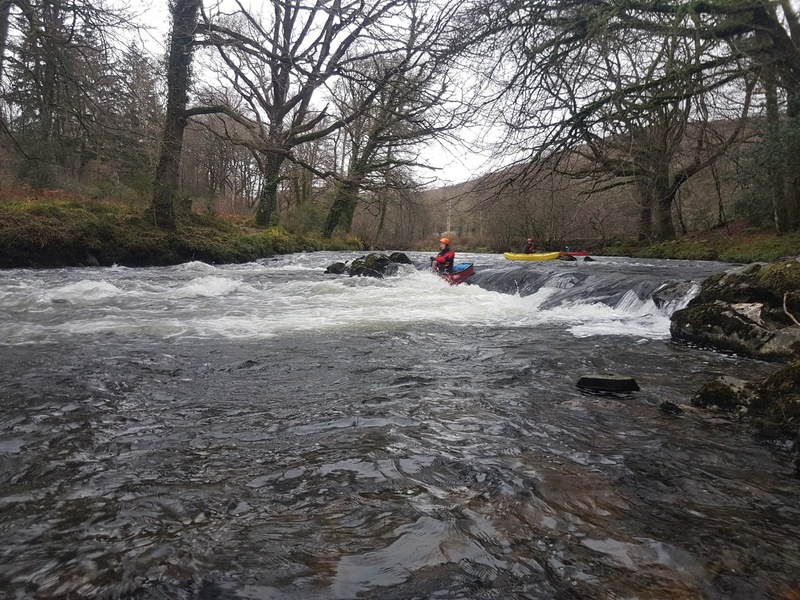 On the lower Dart today with Wellington School students for their second day of White Water Kayak tuition. 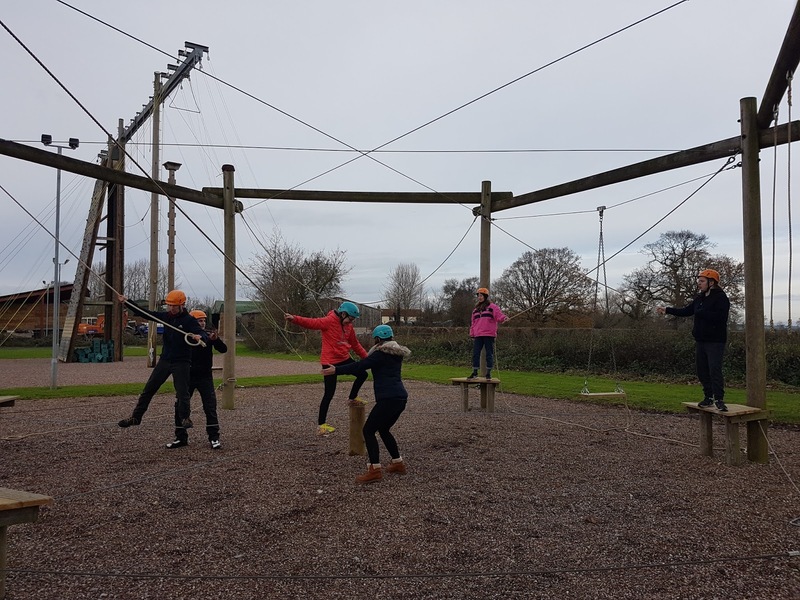 Due to having lots of staff/coaches we had small groups of 3 each and this led to some quality coaching time for each student. 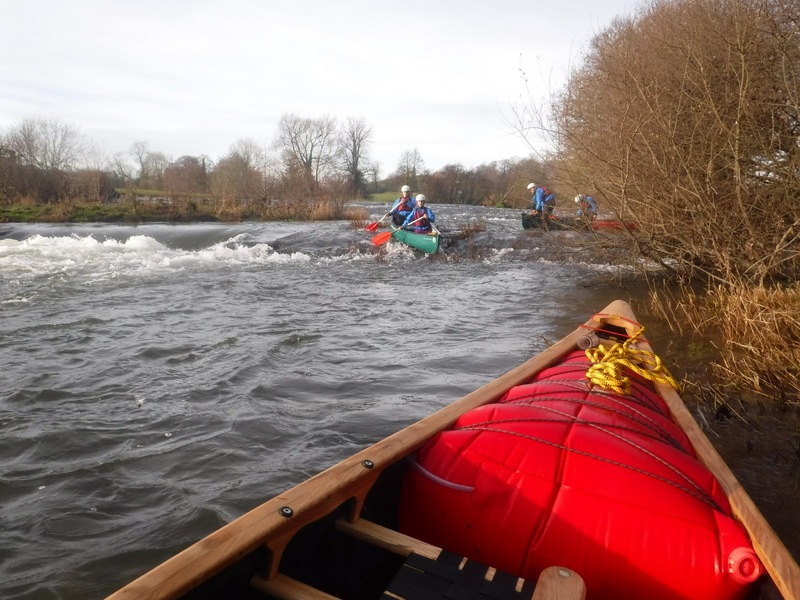 Although a little low, there was enough water to play on all the main features and some real skills progress made. 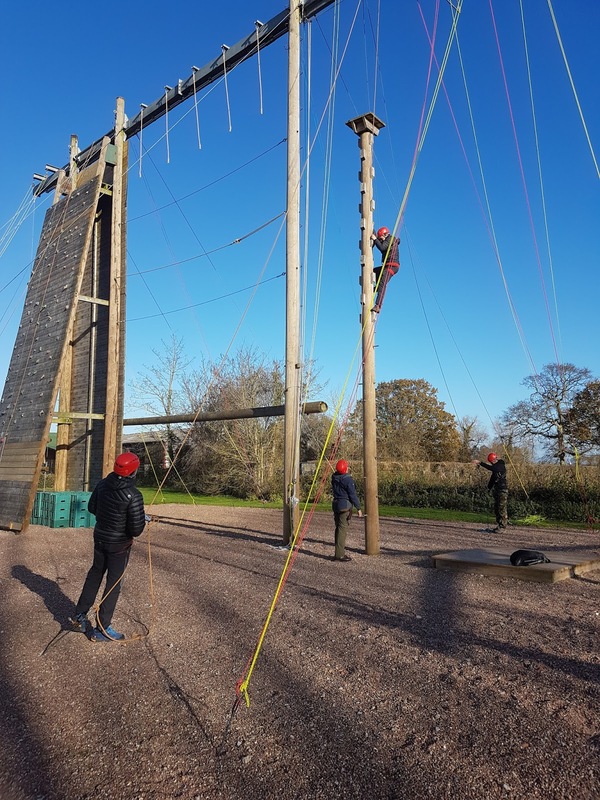 Out at Cannington Activity Centre today working with staff on the newly refurbished High Ropes Course to make sure they are all up to speed with the new elements. We also had a group in on low ropes so I was able to observe some staff delivery in action. Somewhat cold at times but with plenty of coffee breaks a great day all round .